If school choice is about empowering parents (also see here and here and here), it seems that charter school boards would necessarily– automatically– definitely– include among their memberships the very parents who have been supposedly empowered. New Orleans schools have been a showcase (albeit a controversial one) for charterization since the fall of 2005 when Hurricane Katrina devastated the area. By 2022— 17 years post-Katrina– the last local-board-run public school in New Orleans will be completely phased out, making New Orleans a 100-percent charter school district. What is surprising, however, is how long it has taken lawmakers to require New Orleans’ charter schools to include parents and alumni– locals invested in the community– on the charter school boards. It’s a shame that charter school boards must be forced to include locals in the actual roles of empowered decision-making. But so it goes. The 2018-19 school year was the first in which New Orleans charter schools were required to include at least one parent or school alumnus on their boards. In 2019-20, all New Orleans charter schools (except those drawing from the entire state) must be comprised of boards in which both gender and racial makeup of the board must reflect that of the locality of the school– with at least 60 percent of board members being locals. Beginning October 1, 2018, the membership of the governing or management board of each charter school located in a parish with a population of between three hundred twenty-five thousand and three hundred seventy-five thousand persons, based on the most recent federal decennial census, shall include at least one member who is a parent, legal guardian, or grandparent of a student enrolled in the charter school or an alumnus of the school, who may be appointed or elected. Each charter school governing or management board shall adopt a policy prescribing the process and timelines for either appointing or electing a parent, legal guardian, or grandparent of a student or an alumnus of the school to the board. The policy shall be provided to the parents of each child enrolled in the school and published on the school’s website. Beginning with the 2019-2020 school year, the governing or management board of each charter school, other than a Type 2 charter school, located in a parish with a population of between three hundred twenty-five thousand and three hundred seventy-five thousand persons, based on the most recent federal decennial census, shall be representative of the community in which the charter school is located by race and gender to ensure diversity, and no fewer than sixty percent of its members shall reside in the parish in which the school is located. 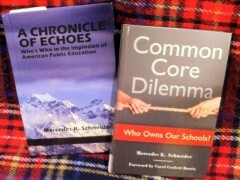 One issue that has arisen is that having parents on charter school boards presents a conflict of interest. I think this is likely true: Parental presence will conflict with the interests of those with ulterior motives to exploit communities in the name of school choice. Another issue causing fretfulness among some choice advocates is that legislation requiring parental presence on charter school boards infringes on charter school “flexibility and autonomy”– in other words, the right of a non-elected charter school board to cut parents out of any key decision-making. So, the school’s solution was to go to the extreme– to ban not only all parents from its board, but any grandparents, as well. According to the 2018 legislation, Lycée Français must add one parent or alumnus to its board. Parental empowerment certainly should include parental presence on charter school boards, and it should also include board members with ties to the community. To cry autonomy at the expense of the very parents one advertises empowering is to perpetrate a marvelous hypocrisy. Kudos to the Louisiana legislature for addressing this issue. Having any parent on a charter board is mere window-dressing and deflects criticism that charters are fundamentally undemocratic. 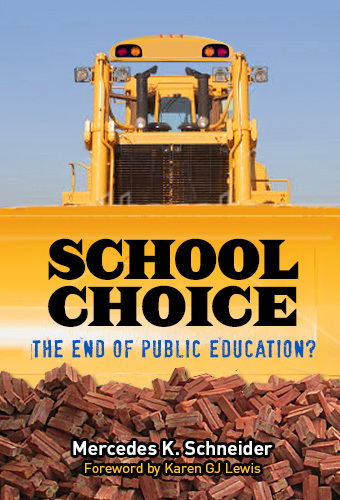 Charters view parents as the problem with public education. They are paternalistic technocracies that believe that only they, the Ivy League elite and billionaires have the wisdom to run schools. But they have learned that they create their own constituencies by favoring some parents with benefits, they can win their loyalty. When charters first started in New Orleans, they were run almost exclusively by academics and local professional elites who sent their own children to private schools. But after 13 years of privatization, they have rewarded enough parents with a privileged education for their children that they can safely put a few on the board and not risk losing control. Remember when we use to say some old colleague had “drunk the Kool-Aid”? The game is always the same: Educate one group at the expense of another. The result is always the same: A permanent class of uneducated citizens to serve the plutocracy. Louisiana is now pouring the most challenging students into “alternative” career diplomas. The next time you go to Walmart, realize that the kid pushing the broom is in a “class” earning credits toward a fake diploma. “Except those drawing from the entire state”…the wording sounds like it came from legislators for the for-profit, schools-in-a box, who represent billionaires like Gates, Z-berg and the widow Steve Jobs. « Cory Booker’s School Choice Legacy Could Be His 2020 Undoing.